From River Road West, this view shows a side of Cerro Castellan not often seen. 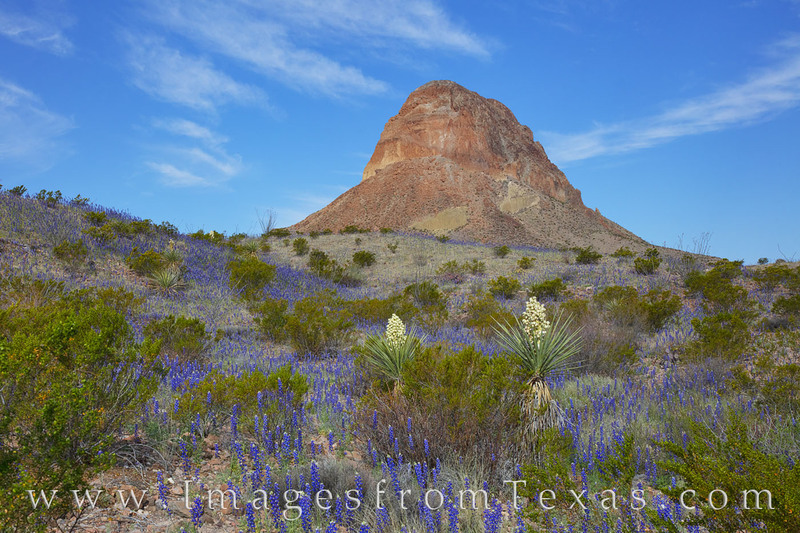 The bluebonnets in early March painted the foreground in rivers of blue and soft clouds drifted across the late morning sky. Big Bend National Park is beautiful in the spring. And off the beaten path provides the less seen side of this rugged and amazing landscape.